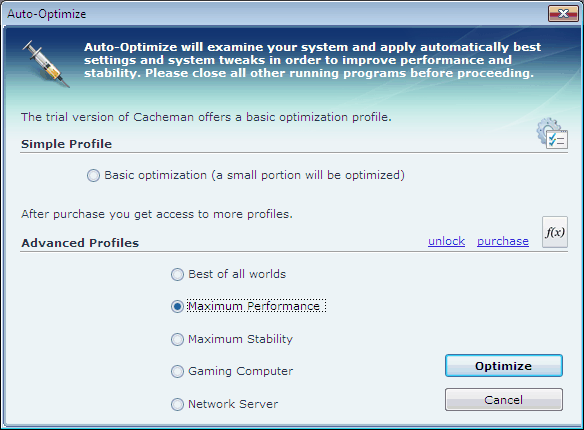 Before using this Cacheman function please make sure you have the latest version of the program installed. If you click on the Optimize button Cacheman will scan your system and calculate best values for every setting and system tweak. After completion a dialog will appear informing you that a reboot is needed for the changes to become effective, you get the choice to let Cacheman reboot your system or to reboot later manually.